As a family systems therapist, it’s been my experience that when parents bring a child to my office due to acting-out behaviors or social challenges, it usually comes back to the dynamic in the parental relationship. Typically, what’s going on (or not) between Mom and Dad is at the root of the issue, regardless of whether the parents are married, separated, or divorced. Marital dissatisfaction and parental conflict, in my experience, are often correlated with how well children adjust to situations. In addition, parental attitudes and approaches can impact children. Children may experience anxiety, depression, shame, or other issues when conflicted parental relationships result in dysfunctional parenting practices. Parental conflict can result in reduced parental involvement, harsh discipline practices, lack of praise and acknowledgement, and increased parent-child conflict. 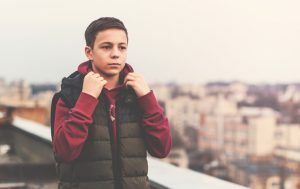 A common scenario that often plays out in families with parental conflict is when a child is blamed and scapegoated by the parents, which in turn may cause the child to act out. This nonadaptive parenting style creates a dynamic of discord that is enmeshed, reciprocal, and reinforcing. When overt or covert (silent or aggressive) parental conflict is present, there may be a tendency to create “alliances” or “collusions” among family members, which typically only alienates healthy family relationships. Additionally, some parents who do not actively engage in conflict in front of their children may allow their negative feelings toward each other to guide their decisions. These decisions, when motivated by resentment and not the best interests of the children, may be equally harmful. Naturally, parental conflict also can result in reduced emotional availability toward children. Generally speaking, the lower the level of parental conflict, the more positive parent-child relationships tend to be. Conflict is a natural part of relationships. 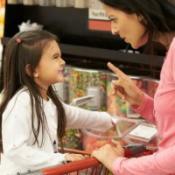 It is important for children to see that parents can disagree and work through conflicts. The problem solving that follows occasional conflict between parents can be a healthy thing for children to witness. When parents are able to demonstrate effective problem-solving strategies collaboratively, they model supportive parenting and parental involvement at a much higher level. The lower the level of parental conflict, the more positive parent-child relationships tend to be. However, when conflict is chronic and parents aren’t able to come to resolution, it can become problematic from the children’s standpoint. Try to avoid arguing in front of the children. When discussions become intense, take a “time-out” and continue the discussion when kids are not around. Set aside time to have discussions when the children are not present (such as when they are in bed, at school, visiting grandparents, etc.). Demonstrate courteous and polite behavior with each other in front of the children. Actively listen to each other. Validate the other parent’s feelings and perspectives, even in times of disagreement. Brainstorm possible solutions to the problem. Focus on maintaining a positive relationship with the children. Articulate that the children are not the issue or even part of the issue. Support the other parent’s relationship with the children. Be mindful about not sharing too much information with the children about conflict that may be present. Finally, when trying to resolve conflict, it is important to look at family-of-origin patterns to determine how conflict was resolved in earlier generations, as patterns tend to be passed down in families from generation to generation. Then, it is important for parents to look for patterns in their relationships as well as their own behaviors and motivations. Ideally, parents should be open to seeking help from a professional, as getting input from an objective third party who is trained to help resolve conflict can be beneficial in identifying ineffective resolution strategies that parents may be engaging in. What If Babies and Toddlers Understand More Than We Think? Our children imitate the kind of behavior that they see in us at home. If they see us fighting all the time with no real communication then yes, this is how they are going to behave as well. They have no real idea of what it is to have a positive conversation because they never seem to have that modeled to them. If we are looking at what is wrong with our children then often it is a great idea to take a look in the mirror first. I want to say that I have always been in adult conversation with my partner around our kids, but I know that this is not always the case. I guess it is a matter of does this happen once, no big deal. But is it a pattern of behavior that continually impacts the child? Then yeah, you probably have a problem there. When my husband and I were going through our divorce, I will truthfully admit that I probably ignored the kids. This was something that I was going through in life that I never ever imagined would happen to me and when it did it rocked me to the core, and not in a very good way! I wish that I could say that I was a good parent to them that year but I know that I wasnt’t and he was not either. We missed an entire year or more basically because we were so wrapped up in our own personal lives. I am ashamed that this happened and I live every day now hoping that I can one day earn back what was lost during that time. I don’t think that for one day of their lives my parents ever worried that what they said or did had an impact on us as kids. They worried yes about providing food and shelter but if it was anything else I suspect that they just assumed that we should just get over it.